Here at The Wax House Candle Company, we only use 100% natural soy wax and source all of our ingredients locally here in Lancashire. Natural wax is becoming ever more popular as more news stories arise about the side effects of synthetic candles on your health. Natural wax doesn’t give off any harmful chemicals as it burns so you can breathe, happy knowing that not only do you get a wonderful exclusive fragrance, you are benefiting from your candle in more ways than one. By choosing a soy candle, your candle will burn longer and release a more intense fragrance, thus giving you value for your money. We all love our homes to be welcoming and comforting for ourselves and our guests but a lot of candles are made from paraffin wax, which is a petroleum by-product. Have you ever noticed how much black soot your candle deposits? Not only do we take pride in using natural soy wax, we make all our candles with braided cotton and paper wicks. Explore our carefully selected & beautifully designed range of affordable soy wax luxury scented candles, reed diffusers and wax melts. Our Award Winning, unique fragrant collection has been inspired by natural scents from around the world, to give you and your home an unforgettable experience. Spend £40 or over for FREE Delivery. Our luxury scented candles and wax melts are hand made using natural soy wax and the finest perfumes that will give you a longer and cleaner burn. Here at The Wax House, we pride ourselves on our exclusive luxury fragrances and because our products are carefully hand made in small batches, we are able to deliver an affordable luxurious, premium range of candles, reed diffusers and wax melts without the price tag of mass produced candles. We like to source all our ingredients locally here in Lancashire as we believe there is a need to support small businesses, just like ourselves! We distribute throughout the UK and Europe and offer Free Delivery on orders over £40.00. 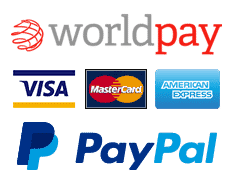 Here at The Wax House, we take your security very seriously that’s why all payments are processed securely by Worldpay for your protection and peace of mind.